Meet in front of the Dog Park in the middle of 3rd Street, near Crate & Barrel and Coletta. Look for a friendly group of moms with workout gear. Travel light as this class will be moving. 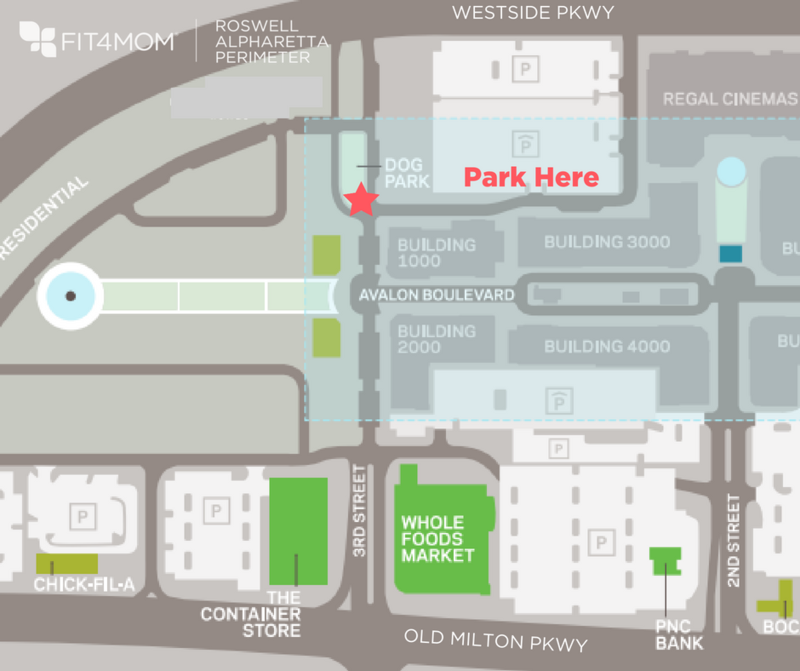 Park in the parking deck behind Building 1000 & Building 3000, behind Crate & Barrel and El Felix. Restrooms are available at Chick-fil-A, but please do not park in the Chick-fil-A parking lot. In the case of inclement weather, we will meet in the parking deck behind Building 1000 & Building 3000, behind Crate & Barrel and El Felix.